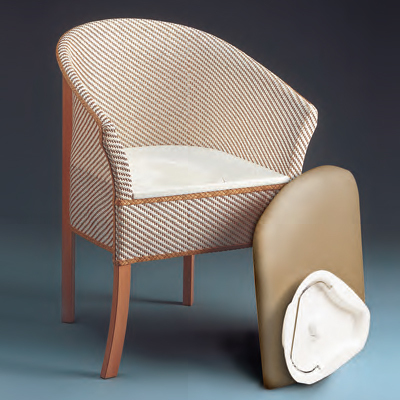 A traditional wooden frame commode with woven fibre upholstery in white and beige. 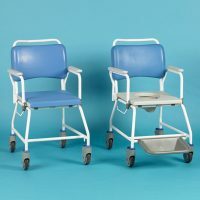 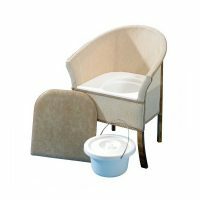 The removable seat conceals a plastic commode pan and lid with carrying handle. 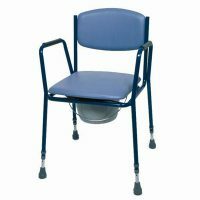 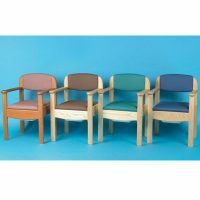 The high chair sides provide support to the user when rising or lowering.